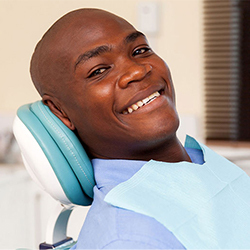 A major benefit of our work, however, is what we do for your smile and profile. Our skill in straightening your teeth can result in a brighter self-image and increased self-confidence. Although patients of any age can benefit from orthodontic braces, they tend to work much quicker on pre-teens and teenagers since they are still experiencing jaw growth. The American Association of Orthodontists (AAO) recommends that children should first see an orthodontist around the age of seven years old. 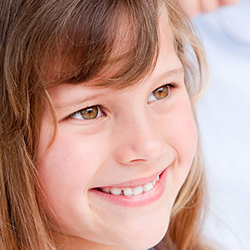 An orthodontic examination may be beneficial before age seven if facial or oral irregularities are noted. 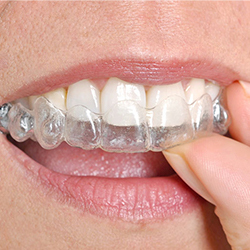 Today, an increasing number of adults are choosing to wear braces to straighten their teeth and correct malocclusions (bad bites). In fact, it is now estimated that almost one-third of all current orthodontic patients are adults. Orthodontic braces are predictable, versatile, and incredibly successful at realigning the teeth. Braces work in the same way regardless of the age of the patient, but the treatment time is greatly reduced in patients who are still experiencing jaw growth and have not been affected by gum disease. In short, an adult can experience the same beautiful end results as a teenager, but treatment often takes longer. In the past, there was only one type of brace available, and it was not designed for looks. It was purely functional. But now you have a choice – even a “clear” choice. Today’s technology allows you to select the braces you want from an array of options that ranges from standard and clear ceramic braces to invisible Invisalign® and various colors. 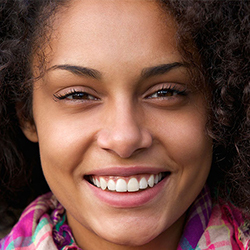 Now you can wear clear braces in Royersford, Pennsylvania, with a bright, confident smile. We also understand that while it may be the right time for orthodontic care for you or your children, it may not be a convenient time for you financially. With that in mind, we have created affordable payment alternatives from $99 a month to enable you to obtain the quality orthodontic care you deserve at a price that fits into your budget. We also offer an interest-free option. All payment plans are subject to credit qualifications. We invite you to contact our gentle dentists and dental team at Transcend Dental to learn more about braces and our other orthodontic options. Dr. Sajid is eager to help you achieve the smile of your dreams!